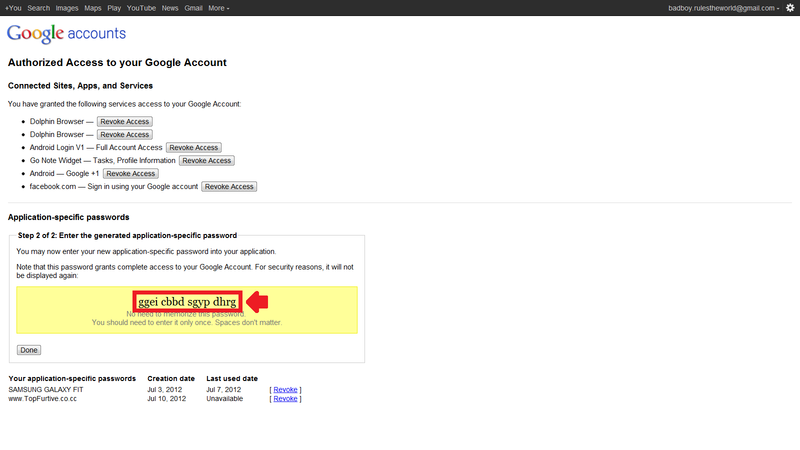 TOP FURTIVE: Solution => "GOOGLE SIGN IN ERROR" In Android Phones And Android Tablets. Recently I had an Error in my Android phone saying "GOOGLE SIGN IN ERROR " and always asked to enter the Google account password. But even after entering the correct password, the message displays saying "You entered the wrong password or your account has changed. Please re-enter your password" and the message keeps coming up and also stopped me from downloading apps from 'GOOGLE PLAY'. The only solution that suggested to me was to reset my phone (By doing so it will remove Google account from my Android phone) but I really don't wanted to do that. 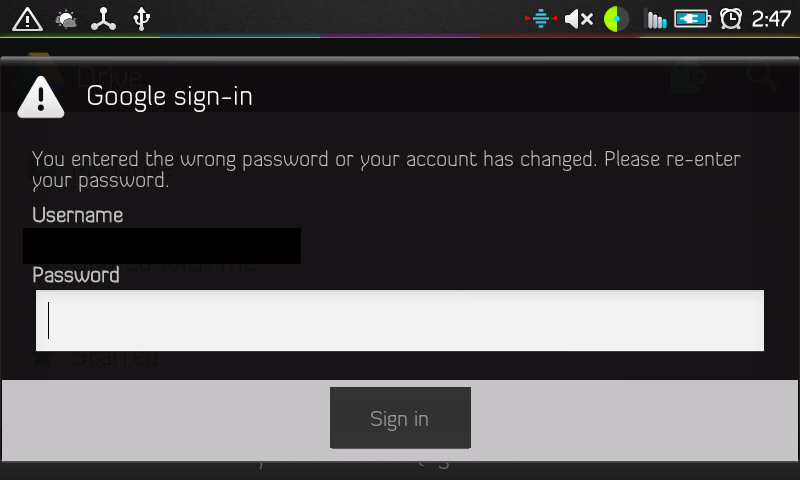 Solution that I found for "GOOGLE SIGN IN ERROR" FOR ANDROID PHONES AND ANDROID TABLETS. For this you'll have to enter an 'Application-Specific Password' in place of your normal password. This procedure is well-known by "2-step varification"
1. 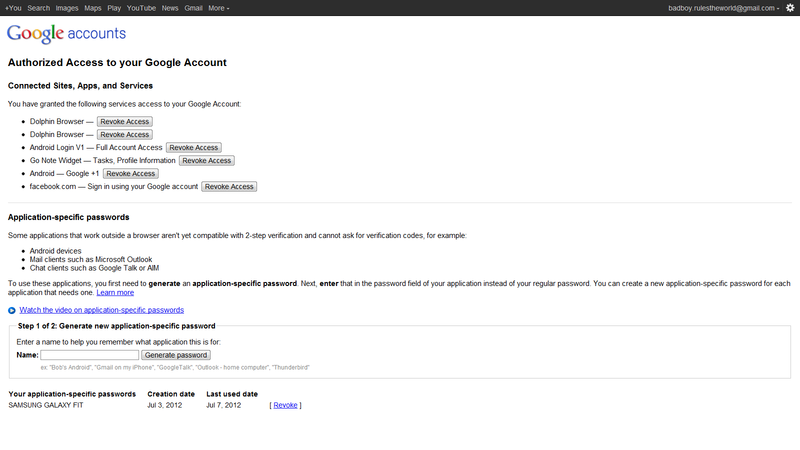 Visit the Authorizing applications & sites page under your Google Account settings. 2. 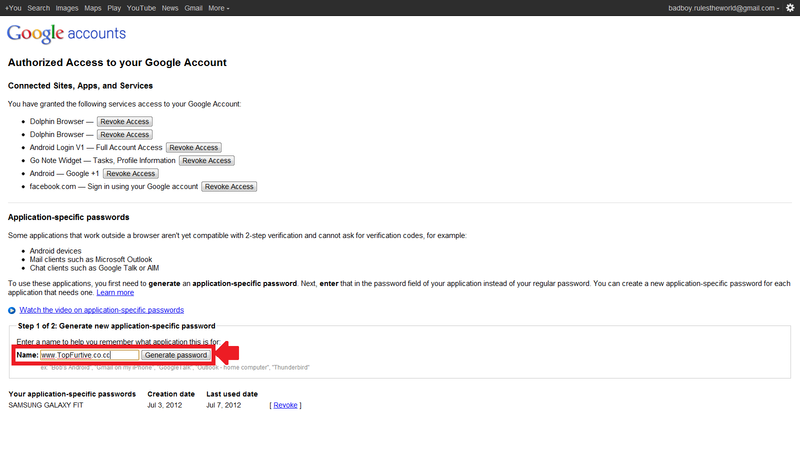 Under the Application-Specific Passwords section, enter a descriptive name for the application, you want to authorize, such as "www.TopFurtive.co.cc" then click “Generate application-specific password"
You'll then see the Application-Specific Password you just created. You'll also see the nickname of the device and a link to Revoke -- or cancel -- the code. Enter that code in the password section of 'Sign In Error'. 3. Enter your application-specific password in the password field. 4. If your application has an option to remember your application-specific password or stay signed in, you can select that option so you won’t have to generate and enter a new application-specific password each time you access your account from this application or device. PLEASE DO COMMENT AND SHARE IF YOU LIKE THE POSTS. 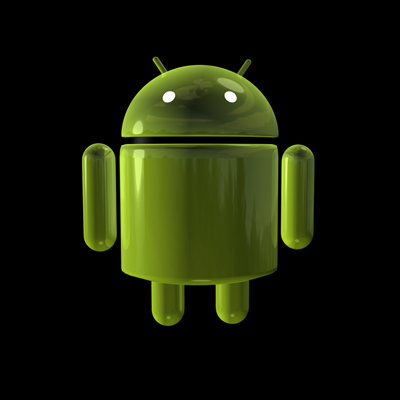 Artikel Solution => "GOOGLE SIGN IN ERROR" In Android Phones And Android Tablets. ini dipublish oleh Unknown pada hari . Semoga artikel ini dapat bermanfaat.Terimakasih atas kunjungan Anda silahkan tinggalkan komentar.sudah ada 1comments: di postingan Solution => "GOOGLE SIGN IN ERROR" In Android Phones And Android Tablets.